(25.5 cm), xvi, 380 (2) pp., frontispiece and 21 illustrations. 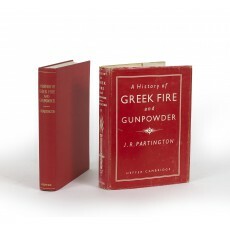 Publisher’s red cloth, printed dust jacket. 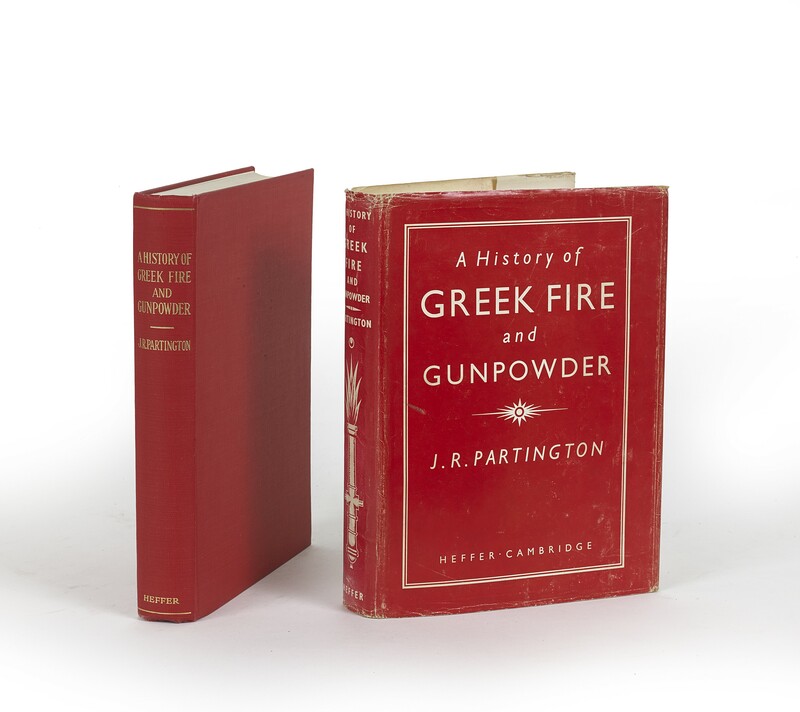 - Original edition of a classic study of incendiary devices used as military weapons, packed with information culled from primary sources. “The summa historiographica of virtually all scholarship on gunpowder’s history up to 1960, and the starting point for any serious investigation in the future” (Bert Hall, in the Preface to a reprint, Baltimore: Johns Hopkins University Press, 1999). ¶ Annotation in margin (p.159); otherwise a clean, unmarked copy. Dust jacket rubbed and slightly worn.